Have you ever imagined what it must feel like to be another person and confront their circumstances? When we do, we take an important step toward overcoming our natural human instincts: apathy, selfishness and narcissism. Remember that time Google almost acquired Tesla? Or when the SpaceX management team spent months on a sandy atoll in the South Pacific trying frantically to assemble a rocket in time to meet a launch window? 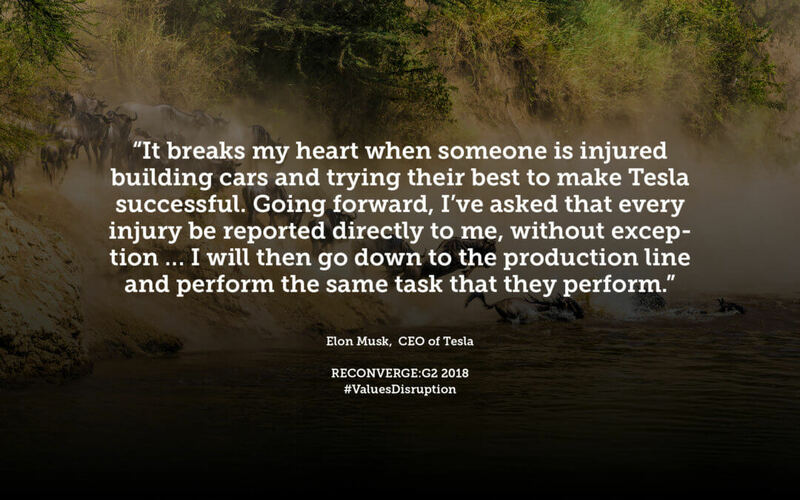 Or when Musk questioned an employee’s priorities when he took time off – in the midst of a crisis – to witness the birth of a child? Travis Kalanick, Uber’s former CEO, bred the kind of “bro culture” that led to the humiliating viral video of him berating an Uber driver when the driver tried to give feedback on his experiences working for the company. Mark Zuckerberg ousted his friend Eduardo Saverin from Facebook after Saverin succeeded in stealing the Winklevoss twins’ idea for the business for him, openly declaring his intention to betray his former partners and leave them with nothing. Steve Jobs famously had a “good Steve” mode and a “bad Steve” mode, frequently flipping from one to the other in an instant, often leaving employees and partners in tears. You might find it as interesting as I did that, American CEOs are 400% more likely to be clinically diagnosable psychopaths than those working in the businesses they lead. If all these billionaires got rich on the basis of their inherent lack of empathy, what then should we take away as the lesson for the rest of us? Do whatever it takes to get ahead? Unfortunately, too many of us do exactly that, naively assuming we must do what others have done to succeed. Digital disruption is accelerating … not just via Tesla, Facebook, Uber or Apple, but through trends nobody controls. In the intelligence field, we call these “Early Warning Key Intelligence Topics” that materialize beyond the control of either our competitors or ourselves. I’m guessing you’ve heard of some of these trends: VR/AR, IoT, Blockchain… but how will you predict their impact on the businesses you serve? Business wargaming is a simulation technique designed specifically to maximize the empathy of decision makers and the impossibility of participants distinguishing between real events and those from the simulation. But we’re not content to do the old-school wargame we’re comfortable with in the intelligence field. We’re going to hybridize an on-line community to add to and instruct the in-person teams actually performing the decision-making in the room. “Empathizing Digital Disruption” is the theme for Thursday, April 26 agenda at RECONVERGE:G2 2018. And we think we’ve got an outstanding plan for how to do exactly that! Thursday morning, during breakfast and check-in, we’ll remind you of the pre-reads and process for the war game simulation we’ll be holding throughout the day and highlight co-chair remarks from Wednesday. Then, starting at 8:30 we’ll break into the teams we’ve decided upon and spend the next two hours running through the scenario for the remainder of 2018. Presentations will be given to the market team and then round two will run through a working lunch, concluding with presentations of the teams running the scenario through 2019. Finally, we’ll conclude the day with the round three time horizon – the most speculative – through 2020 with team presentations. After we finish, we’ll open registration for 2019 and close the 2018 RECONVERGE:G2 Intelligence Leadership Symposium with the co-chairs leading an informal discussion of 2019 theme ideas. Finally, if you’ve been to one of these before, it’s a pretty safe bet that if you don’t have to get home that night, you’ll come out with the die-hards for a final blowout night to remember. We can’t wait to see you in Madison.